(Photo: REUTERS / Akintunde Akinleye)Nigerian Literature Nobel Laureate Wole Soyinka speaks during an interview with Reuters in his home in the southwest city of Abeokuta July 1, 2014. Nigeria is suffering greater carnage at the hands of Islamist group Boko Haram than it did during a secessionist civil war, yet this has ironically made the country's break-up less likely, oyinka said. Speaking to Reuters at his home surrounded by rainforest near the southwestern city of Abeokuta, Soyinka said the horrors inflicted by the militants had shown Nigerians across the mostly Muslim north and Christian south that sticking together might be the only way to avoid even greater sectarian slaughter. Picture taken July 1. Some Nigerians are defiant against Boko Haram, the group that uses terror in the name of Islam to eliminate Western education and impose an extreme form of Sharia law, while others despair. The paramount ruler of Igbo-Ukwu in Aguata, Anambra State, Igwe Martin Ezeh, says the incessant killings of innocent Nigerians by insurgents will not split the country, The Sun, a Nigerian newspaper reported Friday. Ezeh predicted that the country will come out of its current crisis stronger said Boko Haram's actions will ultimately unite the country. The Organization of Islamic Cooperation condemned the killing of at least 56 people and the destruction of churches reportedly by Islamist militant group Boko Haram in Northern Nigeria, Dubai-based Al Arabiya News reported July 2. The worshipers were killed and four churches were burned down Sunday in a village near Chibok in Northern Nigeria, International Christian Concern reported. The group torched the Protestant Church of Christ in Nigeria, the Pentecostal Deeper Life Bible Church, and Ekklesiyar Yan'uwa (Church of the Brethren), among others. Local residents blame Boko Haram for the incident. Boko Haram strikes terror by attacking churches, schools, and police stations. It is also to the Chibok kidnapping in April in which more than 200 Nigerian girls are still missing. Boko Haram followers are said to be influenced by the Quranic phrase that is believed to say "Anyone who is not governed by what Allah has revealed is among the transgressors." "They killed dozens of people and burned houses after attacking worshippers," survivor Mallam Yahi told The Associated Press. Yahi revealed that the attackers went to neighboring Kautikari, about four miles (six kilometres) from Chibok, where they killed villagers and burned down homes. The death toll in Kautikari remains unknown. Residents are furious. And they are angry at the army's slow response. They said that the soldiers refused to confront the extremists directly, shooting at them from outside the village. People ask if the Boko Haram onslaught is political or religious. Christian Solidarity Worldwide quoted Boko Haram leader Abubakar Shekau in a 2012 video saying, "This war is not political. It is religious. It is between Muslims and unbelievers (arna). "It will stop when Islamic religion is the determinant in governance in Nigeria or, in the alternative, when all fighters are annihilated and no one is left to continue the fight." 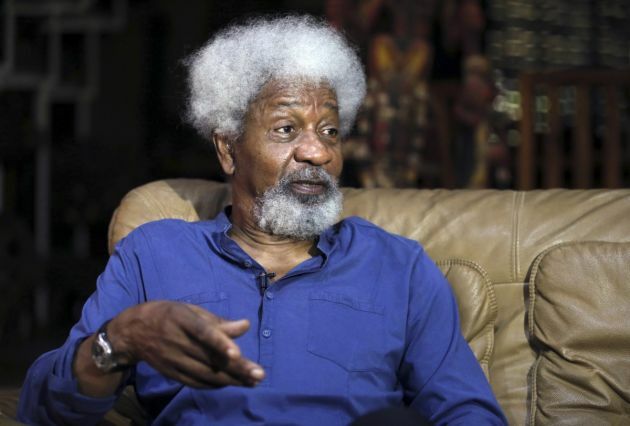 Nigerian Nobel Literature Prize laureate, Wole Soyinka, condemned Doko Haram, describing it as a worse menace than the Biafran war, from 1967 to 1970 which led to the death of many Nigerians. "There were atrocities which were committed," he said in an interview with Reuters news agency, "but you never had such a regular, getting to a near predictable level of carnage. I think this is what is terrifying. "There's no war zone. There's no battle line. It's everywhere. Not just in the North East for instance, it's here, right here where we are sitting. It's right down in Lagos, even though it has not manifested itself." On if Boko Haram can make Nigeria split, he said, "I think ironically it's less likely now. For the first time, a sense of belonging is predominating. It's either we stick together now or we break up, and we know it would be not in a pleasant way." Mervyn Thomas, chief executive of Christian Solidarity Worldwide said, "The Nigerian government must ensure adequate protection of these vulnerable citizens and address and allay their concerns regarding the conduct of elements within the armed forces." Anambra State leader Igwe Martin Ezeh said that in the spirit of the holy month of Ramadan, Boko Harma must drop any form of attack and embrace peace, which is one of the cardinal principles of Islam. He commended Christians and Muslims for not carrying out reprisal attacks when churches were attacked recently.